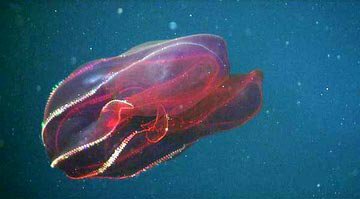 A jellyfish is sea creature with a ‘jelly-like’ body and long, trailing tentacles. The tentacles have stinging barbs that can inject a toxin into the body. What are the Causes of Jellyfish Sting? What are the Signs and Symptoms of Jellyfish Sting? How is First Aid administered for Jellyfish Sting? If a Jellyfish Sting (or sting or bite of a marine creature) is suspected, it is always important to call your local emergency helpline number (or 911 in the US) without any delay, and provide as much information as possible, even if the individual does not have any symptoms. Who should administer First Aid for Jellyfish Sting? What is the Prognosis of Jellyfish Sting? The prognosis of Jellyfish Sting is dependent on the potency of the toxin, the severity of reaction, and timely manner in which treatment is administered. How can Jellyfish Sting be Prevented? Little, M., Pereira, P., Mulcahy, R., & Cullen, P. A. (2003). Severe cardiac failure associated with presumed jellyfish sting. Irukandji syndrome?. Anaesthesia and intensive care, 31(6), 642. Kimball, A. B., Arambula, K. Z., Stauffer, A. R., Levy, V., Davis, V. W., Liu, M., ... & Auerbach, P. S. (2004). Efficacy of a jellyfish sting inhibitor in preventing jellyfish stings in normal volunteers. Wilderness & environmental medicine, 15(2), 102-108. Peel, N., & Kandler, R. (1990). Localized neuropathy following jellyfish sting. Postgraduate medical journal, 66(781), 953-954. Taylor, D. M., Pereira, P., Seymour, J., & Winkel, K. D. (2002). A sting from an unknown jellyfish species associated with persistent symptoms and raised troponin I levels. Emergency Medicine Australasia, 14(2), 175-180. Little, M., Pereira, P., Carrette, T., & Seymour, J. (2006). Jellyfish responsible for Irukandji syndrome. Journal of the Association of Physicians, 99(6), 425-427. Mathelier‐Fusade, P., & Leynadier, F. (1993). Acquired cold urticaria after jellyfish sting. Contact Dermatitis, 29(5), 273-273. Bianchi, R., Torella, D., Spaccarotella, C., Mongiardo, A., & Indolfi, C. (2010). Mediterranean jellyfish sting-induced Tako-Tsubo cardiomyopathy. European heart journal, 32(1), 18-18. Togias, A. G., Burnett, J. W., Kagey-Sobotka, A., & Lichtenstein, L. M. (1985). Anaphylaxis after contact with a jellyfish. Journal of allergy and clinical immunology, 75(6), 672-675. Filling‐Katz, M. R. (1984). Mononeuritis multiplex following jellyfish stings. Annals of neurology, 15(2), 213-213.